We appreciate you choosing Haylo 3D to offer you this chance to experience another from of keepsake during your pregnancy! Our goal is to transform your cast into a beautiful form of art to represent your pregnancy or even have displayed at your Baby Shower…. During your casting all products that are used are Non-Toxic ingredients. You will receive a consultation and we will provide the art work. Our fee is $175.00 all Belly Cast sessions are done in our studio. All designs and decor are included in this fee. Any changes or add ons most be made two days prior to casting. We are not responsible for any changes not made done within that time frame. All belly cast must be picked up at the studio date agreed upon (NOT A DAY BEFORE) if left over 30 days from pick up date the Belly Cast will become property of Haylo 3D Imaging and will NOT BE REFUNDED. The casting process takes approximately 45 minutes to 1 hour. Please be sure to let us know the date the cast is being used if intended for a Baby Shower. If interested in wearing a bra for support you may do so, however we are not responsible if the bra is ruined because of quality of fabric. Please be informed after picking up your cast and leaving our office we are not responsible for any damages or repairs. Please keep in mind all cast are sanded by HAND and are not manufactured they are all SEMI-SMOOTH....THERE WILL BE NO REFUNDS OR DISCOUNTS COMBINED WITH THIS PACKAGE. A 100.00 NON-REFUNDABLE DEPOSIT IS REQUIRED TO SET UP APPOINTMENT! CANCELLATIONS AND RESCHEDULED APPOINTMENTS REQUIRE A 48 HOUR NOTICE IN ADVANCE IN ORDER TO NOT LOSE DEPOSIT. RESERVATIONS MUST BE MADE THREE WEEKS IN ADVANCE FOR RENTAL OF STUDIO AND/OR IF BELLY CAST WILL BE DISPLAYED FOR BABY SHOWER. You can bring Food and cake, we set up we clean up! 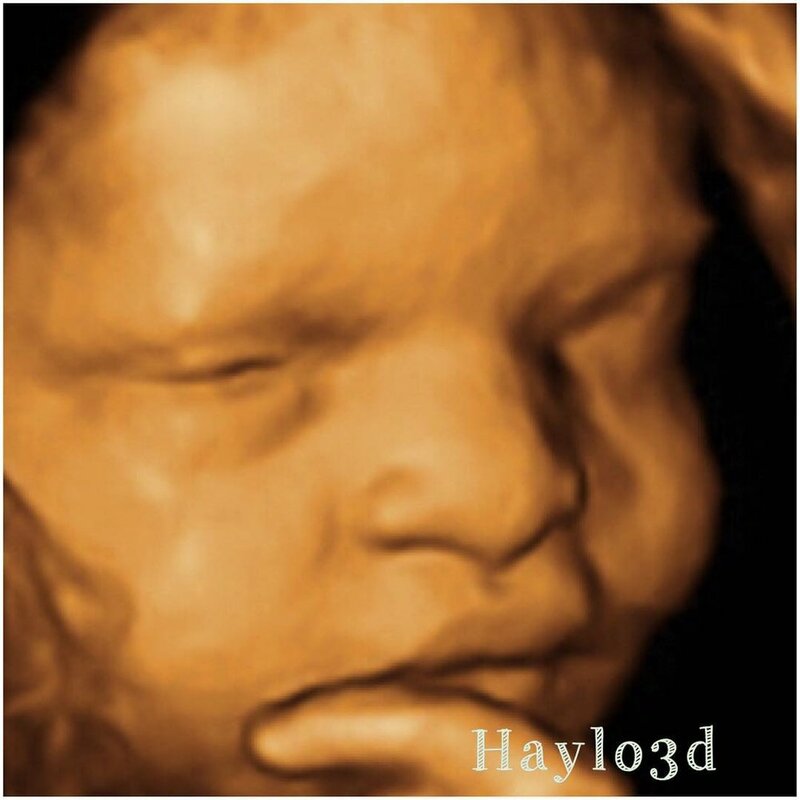 * All ultrasound images on this site are original and property of Haylo3D Imaging. No stock photos are used.